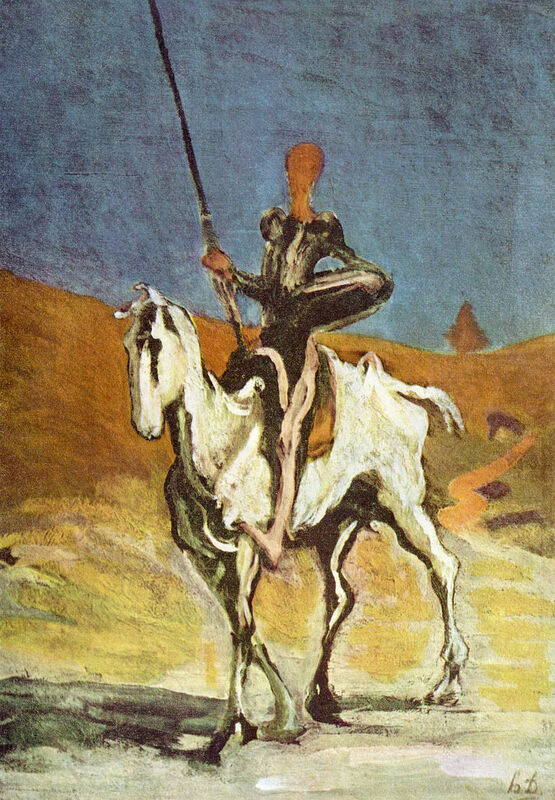 Don Quixote’s name entered English vocabulary as an eponymous adjective in the mid 17th century, a relatively short time after the publishing of Cervantes’ book. President John Adams later popularized the word “quixotic.” How very deist, and practical of him. Don Quixote comes to his senses at the end of the book, and the conclusion to his second adventure. He recognizes the tales of the knights-errant, which had been his source of inspiration for becoming a knight-errant himself, as foolish tomes that helped magnify his madness. Yet, the stories of Don Quixote’s adventures are more than the description of a madman and his droll squire. They are stories of nobility, leadership and deep wisdom trapped in the body of a clown. Don Quixote sees things others do not see, he fights against enemies imagined, he suffers hardship for the sake of others less fortunate, and he retains fidelity to an imagined Dulcinea Del Toboso – who in actuality was birthed from a one-time sighting of a local peasant girl, whom he imagined as the most beautiful and noble of all women in the world. We are Don Quixote. We have imagined a better world, and are provoked by our visions of it. For some it is our politics that we imagine are far more beautiful and wise than the politics of another, and we will fight against both foe and friend to uphold her high and noble name. For others, we have sold our birthright to our worldviews; and whether it is materialistic and practical, or idealistic and spiritual, we stand our ground against the perceived onslaughts to our intellectual positions. As a Christian, I recognize the similarity of my tribe to Don Quixote. We declare fidelity to One, and to that One alone. At our best, we are unswerving in our love to the One, Who like Dulcinea, we have only seen in a glimpse, and our actions toward others are constrained by our desire to magnify that name in a positive and alluring light. At our worst, we imagine enemies to all that is good in specters that clothe the people and events around us. Common things become uncommon in the light of our worldview. A windmill becomes a giant, or a herd of cattle a troop when wrapped in ghosts of my beliefs. The atheist imagining culture being destroyed by religion, the socialist eyeing nothing but the evils of capitalism, and the fundamentalist battling the moral decay of a nation all have this in common, because at some level, we are Don Quixote, every one of us. In some sense, we are all Don Quixote. We are all attached to something others do not see or understand. In another sense, we are not Don Quixote, but we need to learn from him. 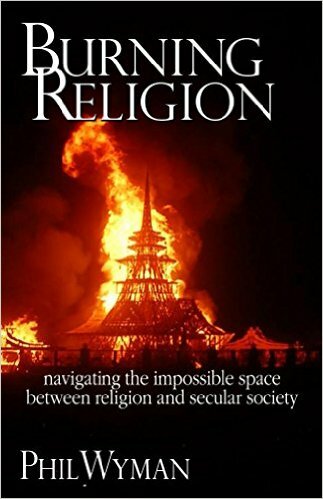 For more on this carnivalesque approach to life see Burning Religion: navigating the impossible space between religion and secular society. Burn Religion this coming year!